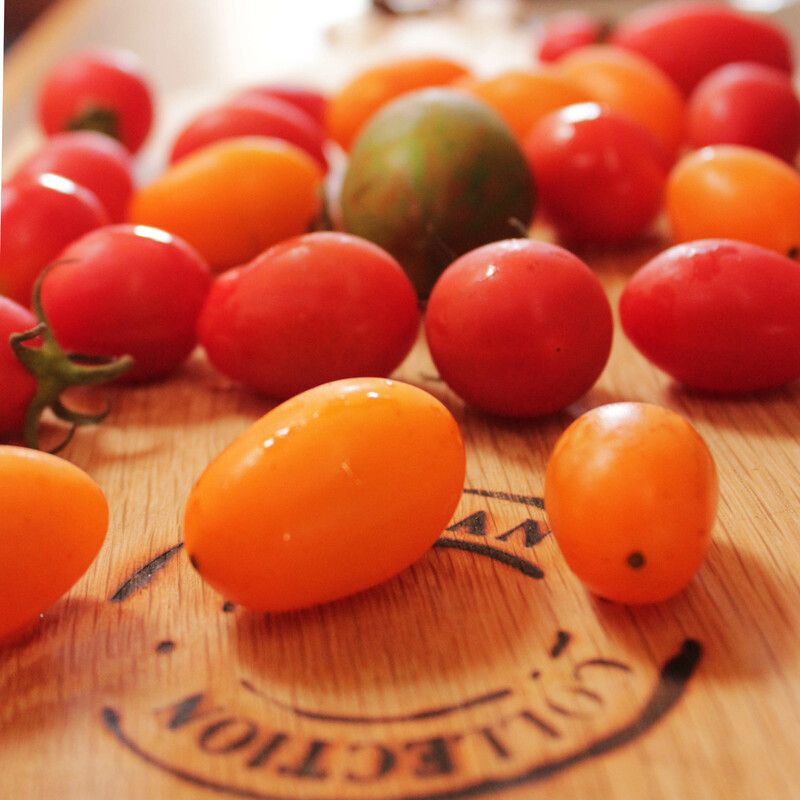 I love the vibrant colours, varied shapes and fresh taste of these exotic tomatoes I picked up. I’m afraid this batch will be the last I use. From now on, I’m adopting a LOCAL ONLY fruit and veg policy. I am sure there are some South African varities waiting to be transformed in our kitchens! I suppose this recipe aspires to be a tarte tatin, but without a caste iron pan, I had to improvise. 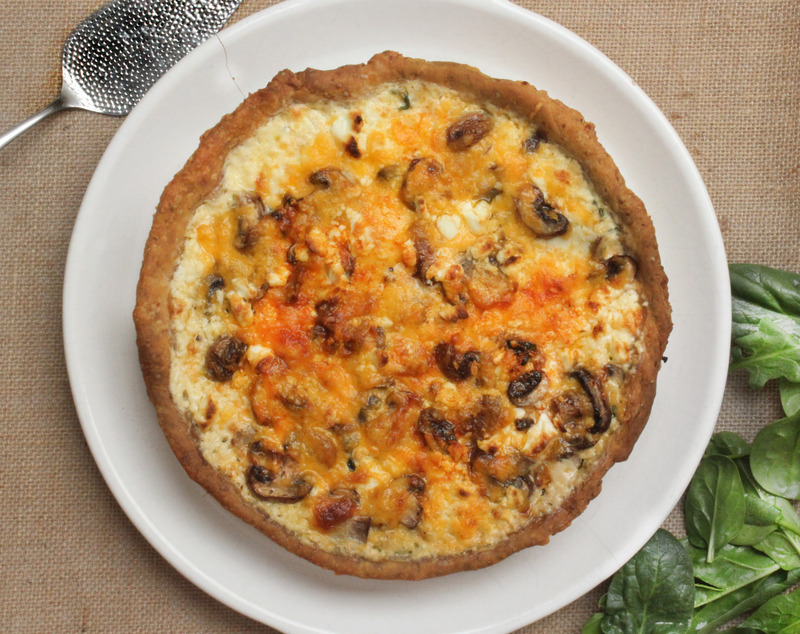 This tart makes for an excellent breakfast or light lunch! 2 punnets exotic tomatoes ( I used Green tomatoes Pink tomatoes, Red Vine tomatoes, Coeur de boeuf tomatoes, Tiger stripe tomatoes) – even simple cherry or rosa tomatoes will do. Halve the tomatoes length wise, and thinly slice the brinjals. Separately , drizzle with olive oil,and toss with salt, pepper and chilli. Grill the tomatoes and brinjals in separate trays for 15 minutes , until the brinjals are cooked, and the tomatoes are oozing with their golden juices. Arrange the tomatoes face down, in a tart pan or a deep dish, as neatly as you can. 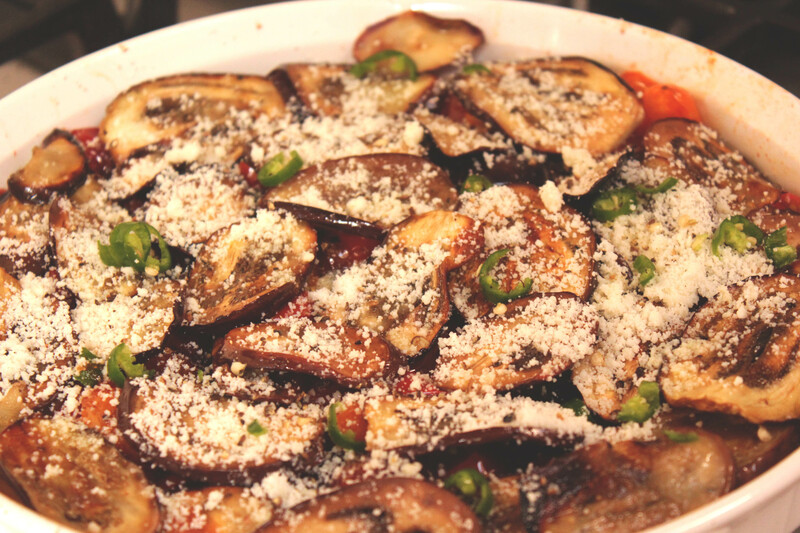 Following the tomatoes, fan out the brinjals in a single layer, and top with Parmesan cheese. Cover with a sheet of puff pastry. Don’t forget to prick gently with a fork! Bake at 180 for 15 -20 minutes until the puff pastry appears golden. Let the tart rest for 10 minutes once it is out of the oven. Flip it over onto your serving tray – don’t be scared for this step – it is easier than you think! 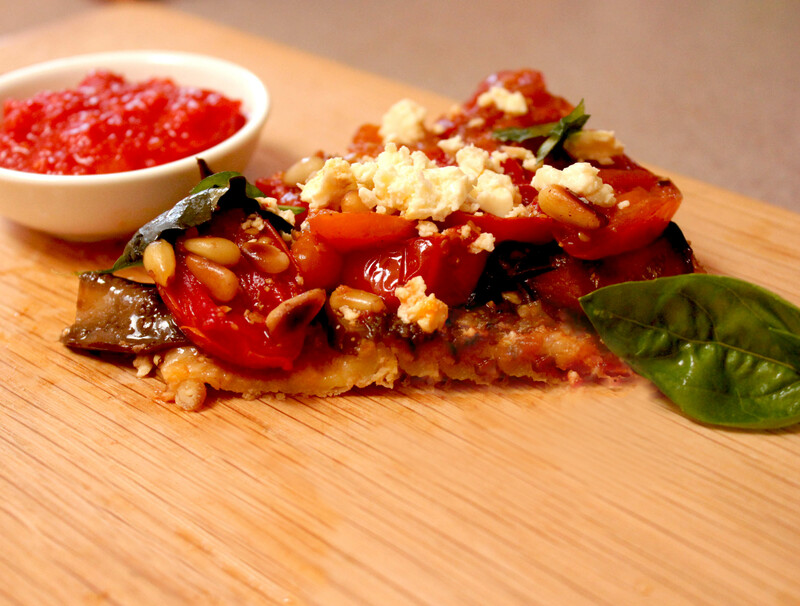 Sprinkle the pine nuts, feta cheese and chopped basil over the tart, and serve warm.